Click on the photos to view full articles. March 12, 2019 - The buzz and excitement in the gallery space was so intense, one could hardly hear themselves speak. It felt like a hip new club scene, but these folks were there for science. It was First Friday in Chinatown, and hundreds of people had crammed into the modest gallery space at The Arts at Marks Garage on March 1 to view the opening of a unique exhibit on communicating science through art. It was one of the biggest opening night crowds the gallery had ever experienced. 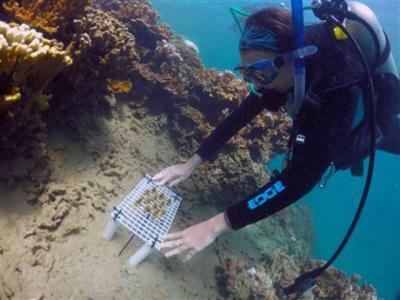 November 15, 2018 - Nathan Eagle: Scientists will continue the work of the late Ruth Gates to develop corals that are more resistant to the effects of climate change and create reefs that provide natural coastal protection. October 15, 2018 - Elizabeth Kolbert: Scientists chronicling ecological destruction must confront the loss of their life’s work and our planet’s riches. September 12, 2018 - The resilient species is hermaphroditic and one of the main corals that build reefs in Hawaiian waters, says Research Project Manager Kira Hughes. Its reproductive cycle happens only during the summer when it releases egg sperm bundles precisely between 8:45 p.m. and 9:30 p.m. And just as surprising is they release no more than five times a year. The nets collect the bundles and scientists take them to the lab on Coconut Island. 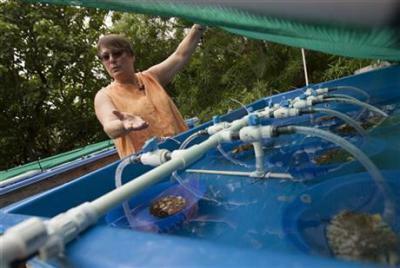 Their objective is to breed a “Super Coral” more resilient to rising sea temperatures, Hughes says. Only 10 percent of the world’s coral reefs will be living by 2050, according to current projections, unless countermeasures are taken. 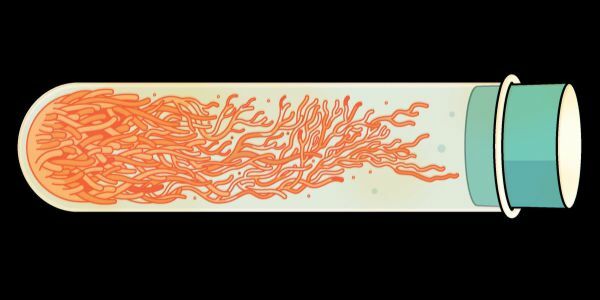 July 18 2018 - Scientists are rushing to create new “evolution assisted” coral that can survive in hotter waters. Is messing with nature the path to survival, or too dangerous to contemplate? July 13 2018 - Ravaged by the effects of climate change, the world’s corals are on the brink of catastrophic decline, and time is running out. 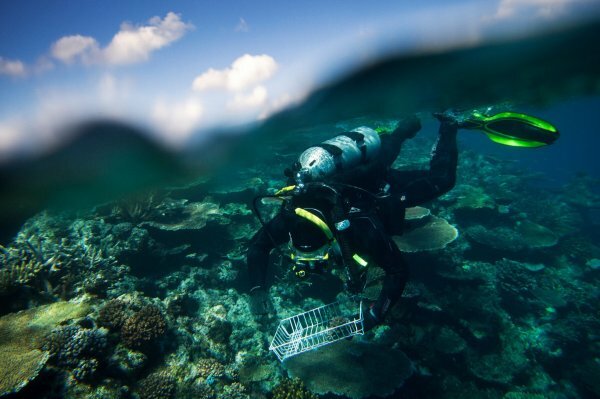 At the Gates Coral Lab in Hawaii, however, scientists are searching for the magic recipe to breed a more resilient “super coral” with a better chance of surviving. June 6 2018 - In this episode, we’re investigating how assisted evolution is increasing the resilience of corals in the Ruth Gates Lab at the Hawai‘i Institute of Marine Biology, which is internationally famous for this cutting-edge research. We’ll talk to the Gates Lab project manager, Genetics and Microscopy expert, Graduate Student Researchers, Lab assistants, and a high school intern — all playing a part in understanding and ensuring a future for coral reefs on our planet earth. March 9 2018 - Disastrous hurricanes. Widespread droughts and wildfires. Withering heat. Extreme rainfall. It is hard not to conclude that something’s up with the weather, and many scientists agree. It’s the result of the weather machine itself—our climate—changing, becoming hotter and more erratic. In this 2-hour documentary, NOVA will cut through the confusion around climate change. Vice News March 27 2018 - They still look beautiful, but coral reefs are dying at staggering rates — experts project that 90 percent of the world's reefs will be gone by 2050. But a growing group of scientists around the world are searching for innovative solutions to make sure that doesn't happen. 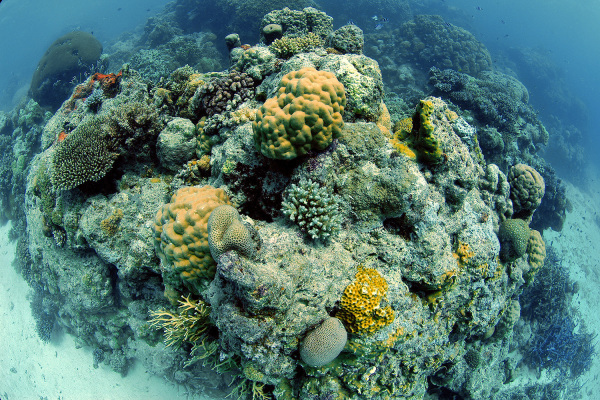 Coral reefs are among the earth’s most precious natural resources. They harbor a million species and provide food for 500 million people around the world. But warming waters, pollution, and overfishing have badly damaged these precious ecosystems; roughly 50 percent of the world’s corals have been lost in just the last 30 years. Realitycheck Films - Global warming is killing the world's oceans. Filmed on the coral reefs in Hawaii and on the Great Barrier Reef, "The End Game" takes the viewer beneath the surface to show how coral bleaching is threatening coral around the world. 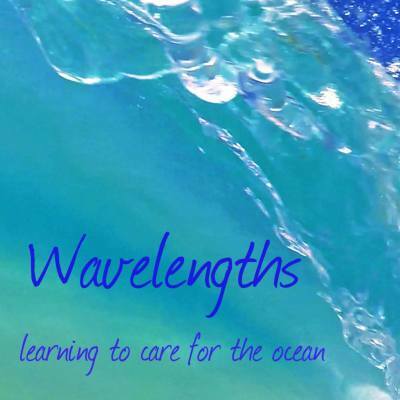 Wavelengths, Betsy Brown February 2018 - On a tiny piece of land in the middle of Kaneohe Bay in Hawaii a group of scientists is working hard to save coral reefs. 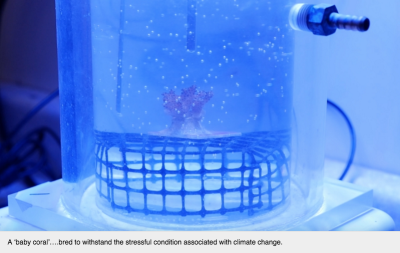 It's a multi-layered project using several approaches to train and modify coral so it can survive heat stress. 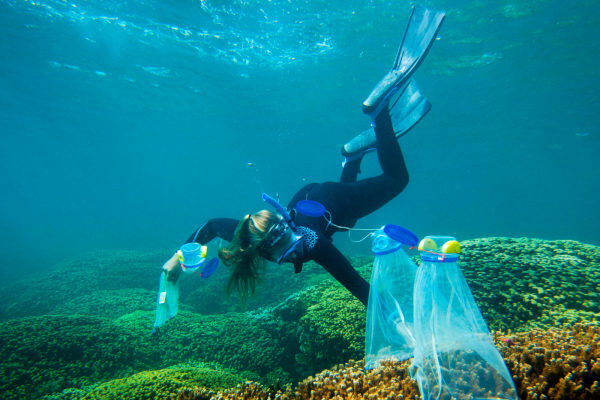 The project is led by Dr. Ruth Gates and gained momentum after Hawaii's coral bleaching events in 2014 and 2015. Diáro de Mogi, September 17 2017 - A newspaper in Brazil, "Diário de Mogi", contacted Gates Lab PhD student Mariana Roucha De Souza and wrote one full page of the newspaper about her career, education, and her research in the Gates Lab. multiply. The effort raises scientific and ethical questions. And at the Chasing Coral website: https://www.chasingcoral.com/ . The Weather Channel: Written by Mathew Eagle, Honolulu Civil Beat 2017 - They’ve been around for 200 million years. Hundreds of millions of people depend on them for food. Tourist economies rely on them. 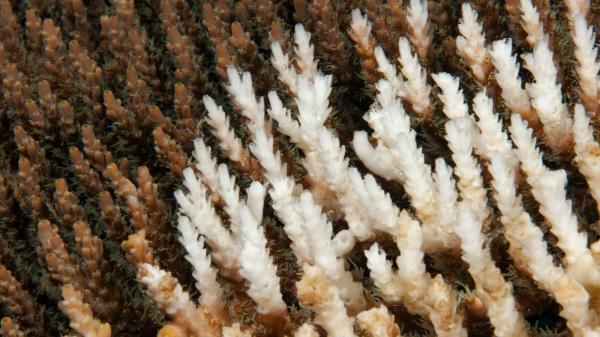 And now scientists are racing to save corals from an ocean that’s getting hotter. The Economist February 22 2017 - With the world's corals at risk of extinction, scientists are using cutting-edge technology to try to save these planetary treasures. ​ Watch the video here! Associated Press March 14 2017 - There were startling colors here just a year ago, a dazzling array of life beneath the waves. Now this Maldivian reef is dead, killed by the stress of rising ocean temperatures. What's left is a haunting expanse of gray, a scene repeated in reefs across the globe in what has fast become a full-blown ecological catastrophe. 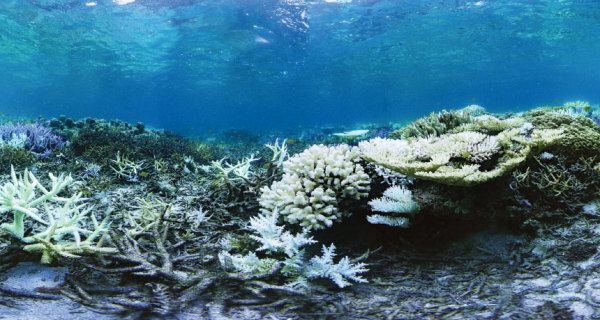 The world has lost roughly half its coral reefs in the last 30 years. Scientists are now scrambling to ensure that at least a fraction of these unique ecosystems survives beyond the next three decades. The health of the planet depends on it: Coral reefs support a quarter of all marine species, as well as half a billion people around the world. See this article at Associated Press and Times Science! NBC Mach News February 2 2017 - Around the world, coral is under siege. 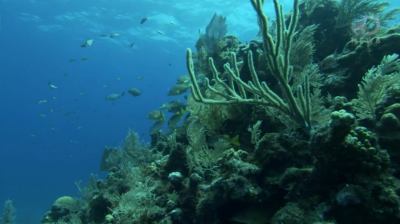 Battered by a changing climate, destructive fishing, and other threats, reefs are disappearing. Just last year, the Great Barrier Reef suffered the worst die-off ever recorded. If nothing is done, nearly all reefs will be in serious danger by 2050. 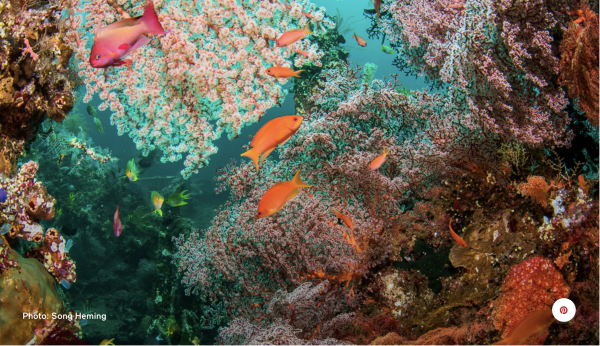 Many people depend on reefs for their food and livelihood. They're home to more than 25 percent of marine creatures, supplying us with fish and sources of new medicines to fight cancer and other diseases. Reefs also form natural seawalls that protect shorelines from storms and waves, and are magnets for tourism. Read more here! Science News October 18 2016 - Coral reefs are bustling cities beneath tropical, sunlit waves. Thousands of colorful creatures click, dash and dart, as loud and fast-paced as citizens of any metropolis. Built up in tissue-thin layers over millennia, corals are the high-rise apartments of underwater Gotham. Calcium carbonate skeletons represent generations of tiny invertebrate animals, covered in a living layer of colorful coral polyps. Their structures offer shelter, and for about 114 species of fish and 51 species of invertebrates, those coral skyscrapers are lunch. Important as they are, corals are in jeopardy. 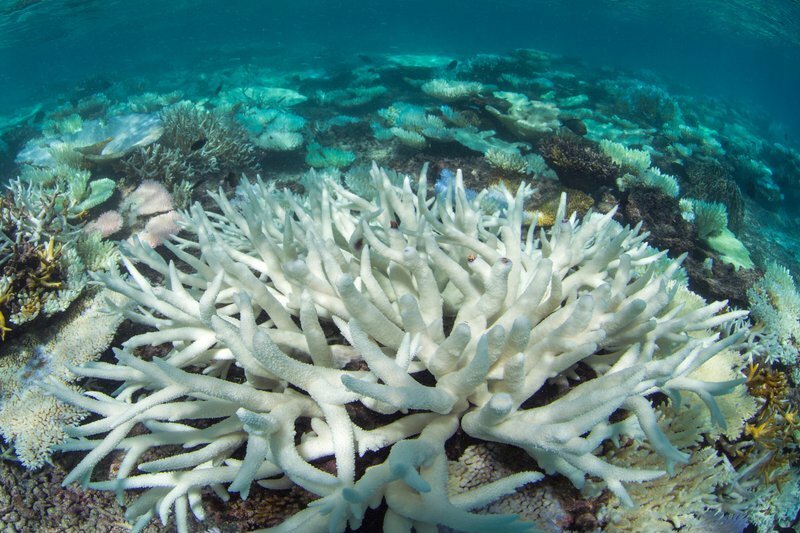 Warming oceans are causing more and more corals to bleach white and become vulnerable to destruction. Read more here! Surfer Magazine September 26 2016 - Misaki Takabayashi, a marine scientist at the University of Hawaii at Hilo, first noticed nearby reefs were changing in 2014. She was bodyboarding with a friend one day at Wai’uli, a punchy reefbreak on the east side of the Big Island, when she caught a glimpse of something white beneath the surface of the water. “I started paddling for a wave, and when the water sucked up off the reef, I could see fluorescent white coral colonies below me,” recalls Takabayashi. “They looked like ghosts popping out through the water.” After studying reef ecosystems in Hawaii for over 20 years, Takabayashi knew this wasn’t a good sign. 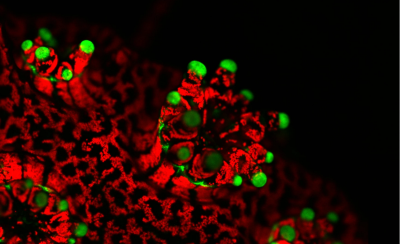 Corals are usually pigmented. Some take on shades of brown. Others are more vibrant, stained with bright blue, green, or red hues, like the ones on the front of travel brochures selling all-inclusive packages to Fijian resorts. Read more here! Hana Hou Magazine June/July 2016 - "Have you been to Coconut Island?” asks Sam Henderson, my boat captain for all of one minute. Like most Hawai‘i residents, I haven’t been to Moku o Lo‘e (its Hawaiian name) even though you can easily see the twenty-eight-acre island in Kāne‘ohe bay from shore. 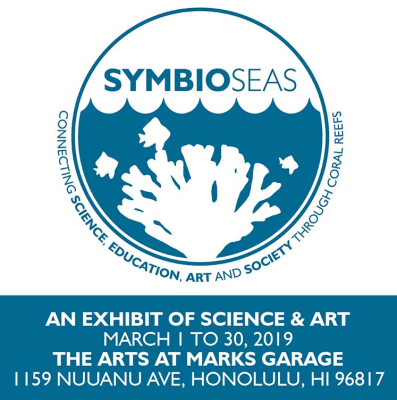 It’s visited by few other than the scientists who motor out daily to the Hawai‘i Institute of Marine Biology, or HIMB, a research unit belonging to the University of Hawai‘i. Much of their work is focused on Hawai‘i’s coastal waters, from tracking sharks to studying how and why marine mammals use sonar. But the island might be better known as the place where the SS Minnow wrecked in the opening credits of Gilligan’s Island. When we arrive I spot what I came to see: large black tubs filled with small coral fragments. Not just any corals—these are Kāne‘ohe bay’s toughest of the tough. Read more here! Hakai Magazine June 21 2016 - On her morning commute, coral biologist Ruth Gates drives the length of Kāne‘ohe Bay, a lagoon the color of blue opal backed by steep volcanic mountains on O‘ahu’s windward coast. She parks her silver Hyundai at a pier and catches a boat to Coconut Island, where the Hawai‘i Institute of Marine Biology is located. Gates loves working here because there are corals everywhere. Corals shaped like knobs of ginger, heads of cauliflower, and portobello mushroom caps fringe the island, and crust together in dozens of patch reefs on the bay’s floor. “If I could be anything, I’d be a coral,” Gates tells me when I meet her on Coconut Island last September. Read more here! We have arrived at Moku o Loʻe (Coconut Island), the site of the University of Hawaii’s state-of-the-art marine laboratory, where Gates and her team are attempting to learn why some coral animals survive bleaching—when an environmental trigger like warm water causes corals to turn completely white and stop growing—while others, often just inches away, perish. Is the Great Barrier Reef really already dead? Decouverte October 16 2016 - Coral reefs are seriously threatened by global warming. 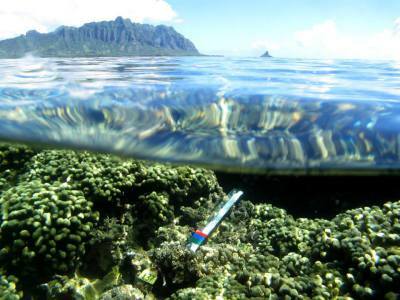 Australia and Hawaii, two researchers decided to combine their efforts to save these precious marine ecosystems. Their solution is bold, even risky. 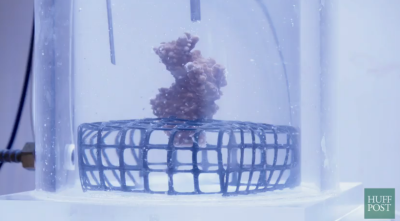 It consists in creating in the laboratory hybrid corals and coral "genetically improved", able to survive in the inhospitable waters of the future. Listen to the broadcast here! National Geographic March 23 2016 - Scientists have discovered that some coral species come through the effects of global warming unscathed. In 1998, the world lost 18 percent of its coral reefs because of global coral bleaching brought about by warmer and more acidic ocean water. Researchers at the University of Hawaii started a program to identify the resilient super corals, breed them, and introduce them to the ocean environment. 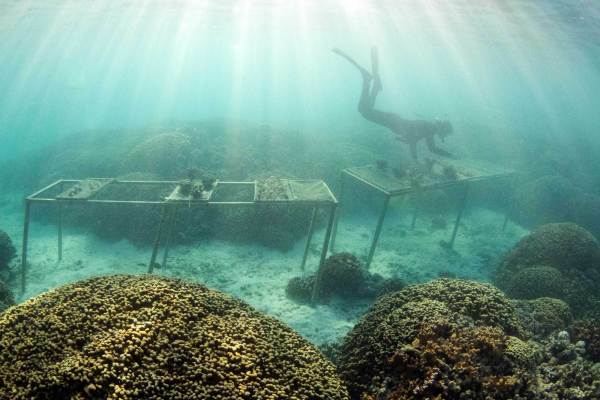 They hope that the corals will thrive and stop the decline of the coral reef ecosystem. Watch the video here! 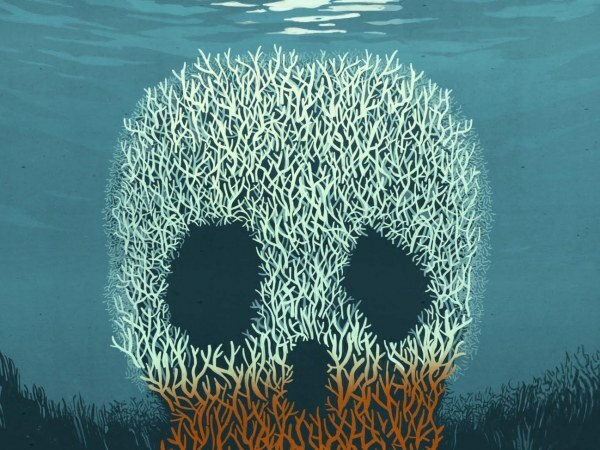 Unnatural selection: What will it take to save the world's reefs and forests? The New Yorker April 18 2016 - Ruth Gates fell in love with the ocean while watching TV. When she was in elementary school, she would sit in front of “The Undersea World of Jacques Cousteau,” mesmerized. The colors, the shapes, the diversity of survival strategies—life beneath the surface of the water seemed to her more spectacular than life above it. Without knowing much beyond what she’d learned from the series, she decided that she would become a marine biologist. “Even though Cousteau was coming through the television, he unveiled the oceans in a way that nobody else had been able to,” she told me. Read more here! 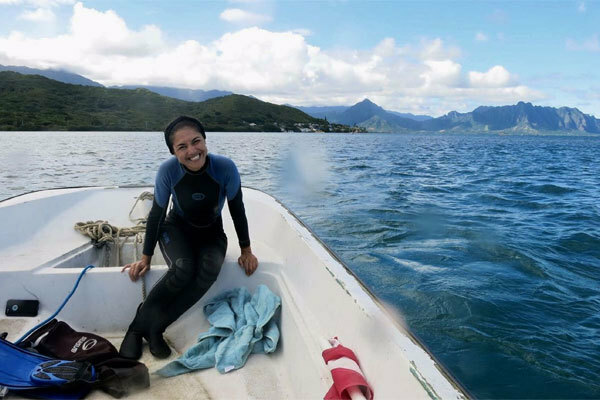 UH News September 22 2016 - Chris Wall, a University of Hawaiʻi at Mānoa marine biology doctoral candidate was selected for the U.S. Environmental Protection Agency’s Science to Achieve Results (STAR) graduate fellowship program. With this honor, Wall received a $132,000 award to support his research on the impacts of near-shore stressors, such as nutrient pollution, and global stressors, such as rising seawater temperature, on coral reefs. Read more here! BBC March 22 2016 - Ruth Gates saw it time and time again. While surveying coral reefs of Caribbean in the late 1980s, she noticed that many corals were clearly stressed, sapped of their colour. Some faded to skeletal white.The trigger was always a sudden surge in ocean temperature. Some corals reacted by ejecting the algae that live within their tissues and usually provide them with colour and nutrition. 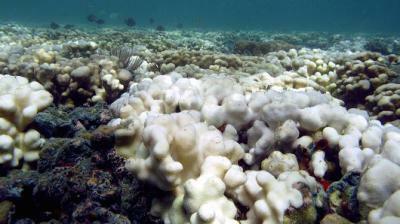 The process is aptly known as coral bleaching. Read more here! ThinkTech Hawaiʻi March 31 2016 - Bob Richmond, director of the Kewalo Marine Laboratory, part of Pacific Biosciences Research Center in SOEST, and past president of the International Society for Reef Studies, Ruth Gates Director of the Hawaii Institute of Marine Biology and president of the Society, and Mark Hickson, professor of marine biology at the Biology Department at UH Manoa share their reef research at Kewalo Basin. They also discuss the upcoming Coral Reef Symposium in Hawaii, bridging science to policy, June 29--24, 2016. Aljazeera America Dec 16 2015 - On this week's episode of TechKnow, Marita Davison travels to Hawaii to report on the a global coral bleaching event. According to a recent report from the WWF, coral reef cover has declined by 50% in the last 30 years, and reefs could disappear by as early as 2050. Corals are sentinals for a much broader issues plaguing our oceans: sea surface temperature rise, ocean acidification, and the damaging impacts of climate change. Read more here! 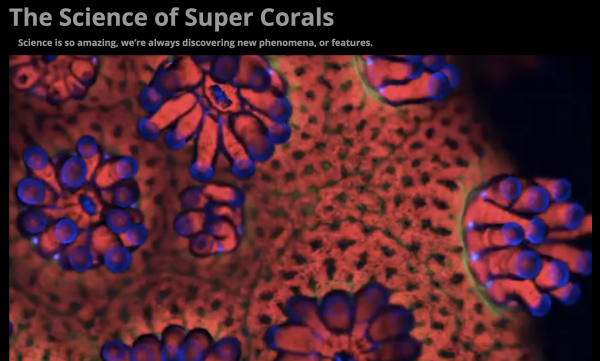 Discovery News Nov 30 2015 - Scientists are busy breeding a new kind of coral they hope will be able to withstand the harsher conditions predicted of future seas. Watch the video here! 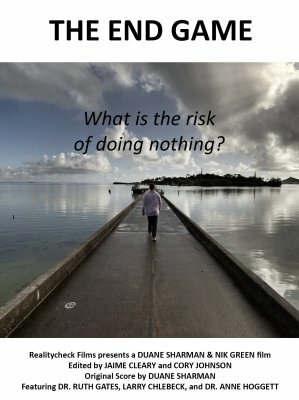 The Huffington Post "Now What?" with Ryan Duffy, Nov 19 2015 - There is an unsustainable amount of carbon dioxide in our atmosphere that is poisoning our natural world, and scientists are engaged in a heated debate on how to mitigate its effects. In Hawaii, one scientist has decided to stop debating and do something to save the vital coral reefs that protect our shores. W atch the video here! Associated Press, Nov. 5 2015 - Scientists at a research center on Hawaiʻi's Coconut Island have embarked on an experiment to grow "super coral" that they hope can withstand the hotter and more acidic oceans that are expected with global warming. 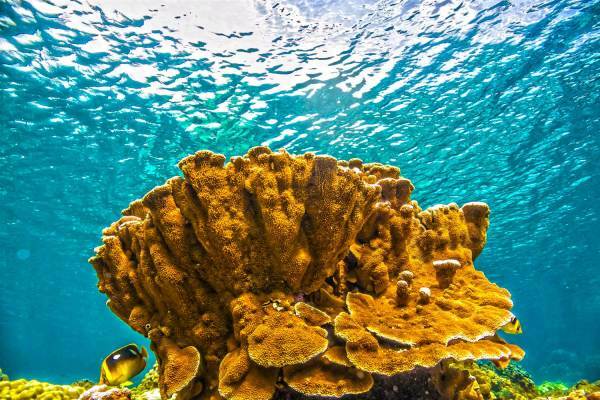 The quest to grow the hearty coral comes at a time when researchers are warning about the dire health of the world's reefs, which create habitats for marine life, protect shorelines and drive tourist economies... Read more here. 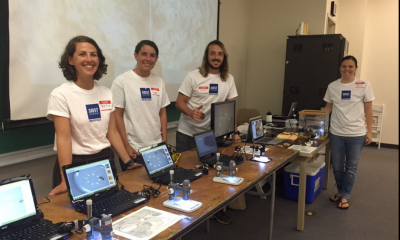 Polynesian Voyaging Society, Oct. 28 2015 - Crewmember Dr. Ruth Gates is discovering how corals might survive ocean acidification and other threats pressuring the world’s reefs. 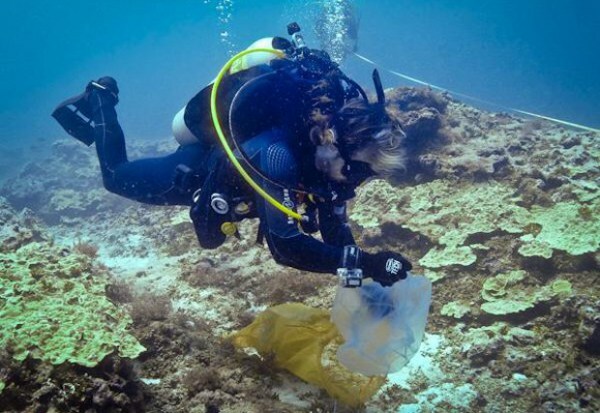 Her visit to the Great Barrier Reef during the Mālama Honua Worldwide Voyage provided an opportunity to bridge and compare Hawaiian and Australian cultural reef knowledge making for a robust educational opportunity. 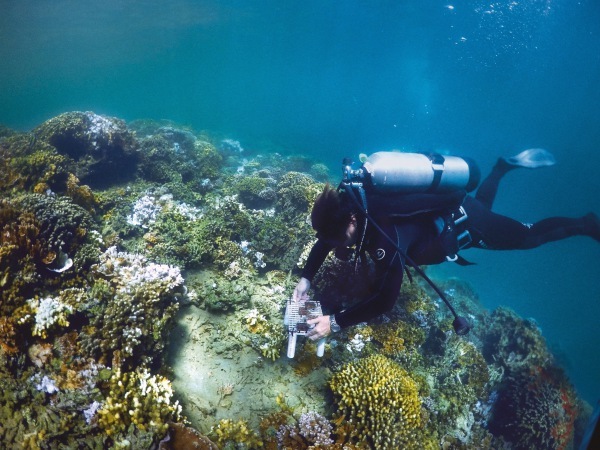 Backed by 25 years of globe-spanning research, Dr. Gates touches on the fundamental link between the health of reefs and people, and the value of connecting with others to navigate positive change... Read more here. 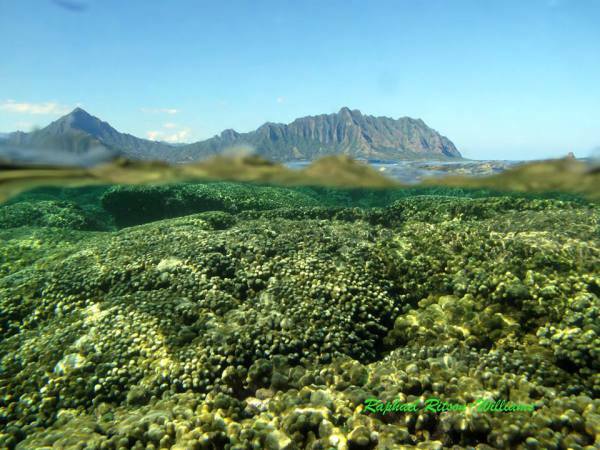 The Washington Post, Oct. 19 2015 - Keyhole Reef is one of dozens of small reefs rising abruptly from the depths of Kaneohe Bay, one of Hawaiʻi’s most scenic places. The water around it is sapphire blue, and bright schools of tang and triggerfish flit over its surface. 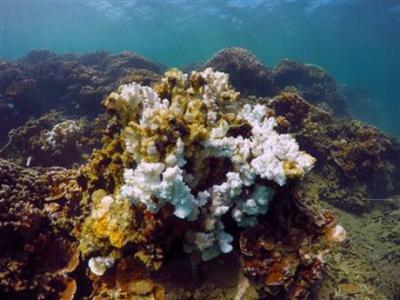 But the reef is showing troubling signs of stress these days because of climate change... Read more here. 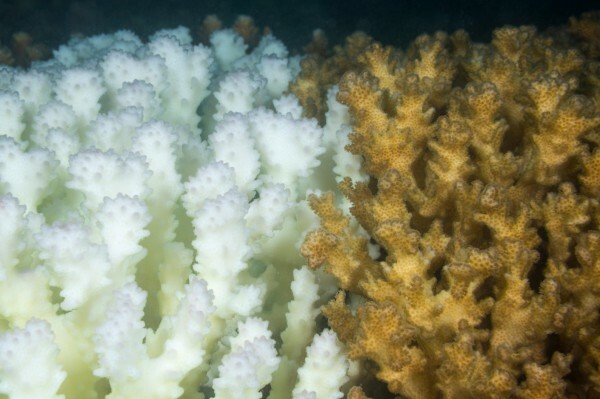 CNBC, July 18 2015 - Coral reefs, already under threat around the globe, may be in particularly acute danger in the waters of Hawaiʻi because of a phenomenon known as bleaching. 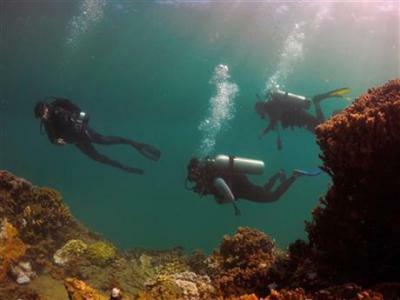 The resource makes up less than 1 percent of the underwater ecosystem yet helps to protect 25 percent of marine species, generates tourism revenue and boosts fishing, according to data from The Nature Conservatory... Read more here. 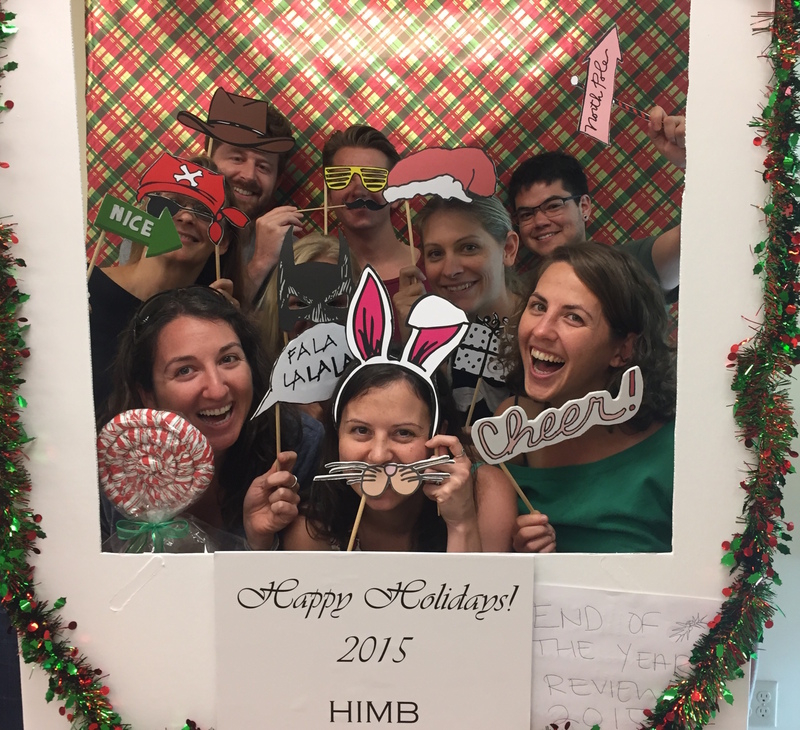 The Gates Lab attends the 2015 HIMB End of Year Review.